Do you want to own your presentations? Do you want to be at the absolute top of your game as a storyteller and an orator? Tamsen Webster may be able to help. As the Executive Producer of TEDx Cambridge and the Senior Vice President of Oratium, a message and communication consulting firm, she specializes in storytelling and brand growth by helping business leaders and storytellers clarify and refine their brand stories. 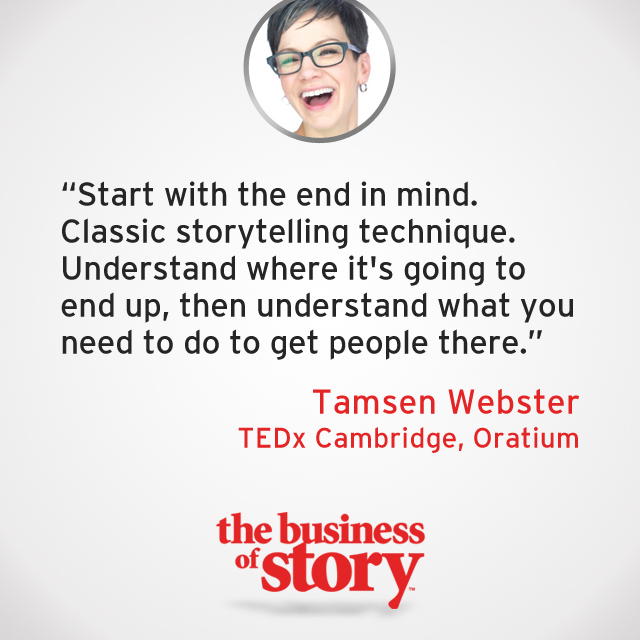 From building content for social brands to non-profit organizations, Tamsen has worked across the board to help business leaders and customers alike tune in to their optimum story.